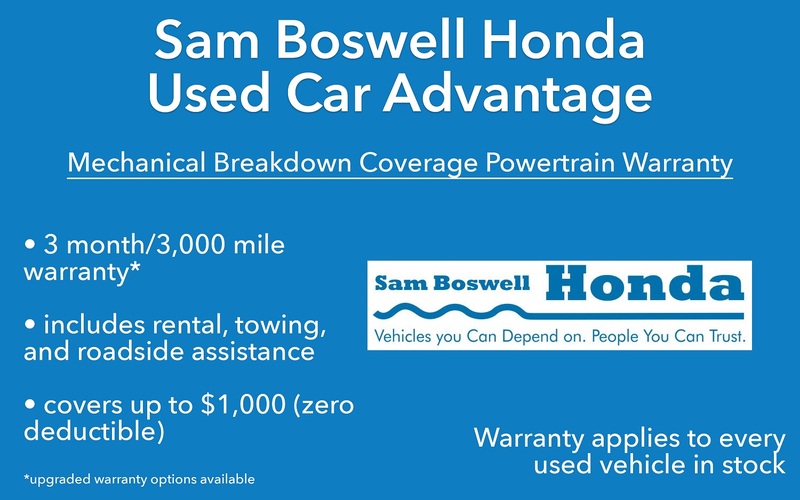 Find a used Honda Accord for sale in Enterprise, Alabama with Sam Boswell Honda. It's our pleasure to assist you with your pre-owned Accord purchase. Did you know that we have used car specials as well? You might be able to find a pre-owned Accord for a competitive price through this inventory. As a used Honda dealer, we can confidently vouch for every used Honda model we sell––especially the Accord. All of our Honda parts are affordable and the service is phenomenal. We urge drivers to browse our service and parts specials when they want to save even more money on Honda Accord services like oil changes, brake pad replacements, and more. If you have questions, reach out to our service team in Enterprise, Alabama. If you're looking to enjoy a pre-owned Honda Accord in Enterprise, AL, you should apply for financing. Our finance department is happy to help you secure the funding you need for a used sedan near Ozark. Ask us about our bad credit financing as well! We have tons of options available for drivers with all sorts of credit scores.